What after the Syrian Israeli clash? The recent Israeli attack in Syria could be part of a rebalanced power dynamic in the region. 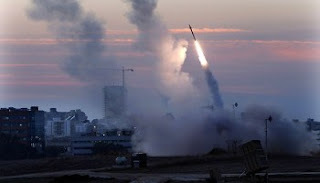 During the Syrian crisis Israel has launched several strikes against Syrian targets, which they claim were Hezbollah convoys and personnel. This recent attack is one of the few times that Israel has actually declared it with sirens in Israel. Perhaps because of the consequences, including debris from a rocket in the northern Jordanian city of Irbid. Syria’s reaction of launching missiles and a strong statement from the military is entirely new. This suggests they had support in this response. According to many experts the surface to air S-200 (SA-5) missiles used by the Syrian army were unlikely to shoot down the Israeli jets, although their S300 missiles could have been more effective. These Russian made Syrian missiles meant Israel had to use its Arrow 3 missile defense system for the first time to destroy what the IDF described as a ballistic threat. This was not the first time that Israeli jets conducted a strike in Syria, but it was the first time that they faced a strong military reaction. This could be a turning point as Israel becomes more cautious in carrying out such attacks. Interestingly, it wasn’t only the military response from Syria that was novel. The Russian Foreign Ministry summoned Israel’s Ambassador to Moscow to protest the Israeli raid in Syria. This is the first time that Russia has interfered in this kind of incident. It is especially interesting given how recently Israeli Prime Minister Netanyahu visited Moscow, which does not appear to have impacted positively on relations between the two countries. Russia’s long-term presence in Syria has already reshaped the balance of power. This will have implications for several countries, especially Israel who is not used to asking permission to conduct an attack. While Russia is not an enemy to Israel, it sees Syria as an ally so Russia’s ongoing presence in the region could have wider impacts, including on regional settlement. Moscow is likely to engage in all of the issues that face the region, including the peace process. So perhaps Russia would like to see this confrontation lead to more constructive negotiations. The importance of building a national identity in Jordan is ever increasing, as waves of sectarianism invade the region. The 1979 revolution in Iran was the first to adopt the religious title of ‘Islamic revolution’, but we continue to seen the progression of religious influence that began in WWII where modern political Islam began spreading its doctrine and influencing the people of the Middle East, predominately through the Muslim Brotherhood. Following the Arab loss in Palestine in 1967, Islamist voices criticized secularism blaming it for the humiliating defeat. Jordan was one of the main countries affected by the unification that was also exported to the Gulf countries by the Muslim Brotherhood who had deep links into the education sector across the region. By the time Sadat took power in Egypt, the Islamization process had already started and has been the major catalyst for the changing cultural identity in the region. Following Sadat’s death, the Iraq-Iran war was promoted as an Arab-Persian war and saw the beginning of the fragmentation of ethnic, religious and sectarian divisions through the propaganda of hate and war. The growing sectarianism in the region and the increasing conflict and violence should give us pause to consider the alternatives. Constant and increasing psychological division doesn’t just create the risk of greater geographic division, but condemns the region and its people to continuous civil war, with the ongoing threat of increased conflict. With the current levels of sectarianism, it is difficult to be optimistic about the future of the region. The people of the region are living in chaos and daily bloodshed, but they have the right to live their lives in peace. However, nobody in the region can live in peace while the dominating mentality is based on exclusion, and the constant desire to eliminate the other. It is difficult to see how we can escape this vicious spiral without a serious national project to restore a national identity based on shared values. The cultural change must be based on pillars that unify rather than divide, so it cannot be based on religious or ethnicity. It should be a progressive secular vision based on diversity and respect for all people. This may be difficult to achieve, but we need to start somewhere and soon if we want our children and the next generations to have a better life. To be successful it needs a long-term strategy with a clear and transparent vision based on shared outcomes. It will take political determination and persistent pushing and follow up. Above all of that it needs a realistic understanding of the risk that the region is facing given the dominant view of radical groups that do not recognize borders or national identities. 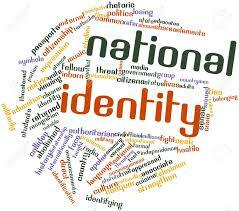 Our national identity should be based on values such as respect for a diverse humanity, which cannot be achieved without a systematic plan that unifies our citizens and reestablishes a new culture of shared national identity. Although Jordan is facing various security challenges, the major challenge for Jordan is the economy. 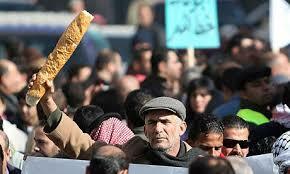 It is not a new issue as the economy has always been a major concern for Jordan. The issue has evolved over time and today sees a need for a new economic model for Jordan. World politics is changing which means it is no longer possible to rely on the same policy of aid-dependency and donations. While Jordan retains an important geopolitical position, there has been a distinct shift in attitude from historic allies including the gulf countries. We need new policies that underpin a revised economic model that accounts for these changes. After several attempts, it is clear that Jordan is not in a position to become a business and financial hub like Dubai or Singapore. Jordanian decision-makers need to be more realistic in developing an economic model based on real development of rural zones through micro economic projects that fit into a strategy of food security. Jordan’s economic development plan in the 1950s and 1960s was based on a comprehensive plan focusing on agriculture, including crop and animal resources, with cooperatives and farmers funds. We must go back to those plans, as our economy will continue to stagnate if we rely on donations and aid. In fact, IMF loans are becoming more difficult to administer and manage. The Ministry of Planning must be clearer in their role as not merely a seeker of donations and aid, but where real effective planning is done. It should lead real change in local development, self-sustainability and even the cultural change. Higher taxation might be a short-term solution to budgetary woes, but it deepens the overall issues especially on a social level, with increased crime, social violence, drugs, terrorism and organized crime. In addition, higher taxation further breeds an anti-establishment sentiment, creating antagonism for the political system. Global politics are changing dramatically, with a greater focus on internal interests. We are seeing more countries, especially in our region collapsing into chaos. It is becoming normal for many countries to coexist with chaos, therefore, we must think seriously of reforming the economic and development model, with a greater focus on our citizens and their lives and not just on the regional situation. 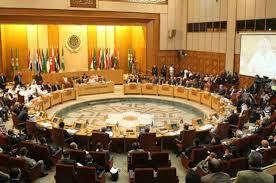 The upcoming Arab Summit in Amman is an important moment for the region. With ongoing crises in Yemen, Libya, Syria and others, the real challenges appear to be within Arab countries themselves. 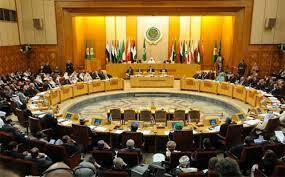 One of the major issues is the return of Syria to the Arab League after more than 6 years of crisis in Syria. The political solution seems to be the only option so Arab countries should make the political play to bring Syria back in to play a key role in stabilizing and rebuilding Syria. Past positions of staying out of the solution is no longer an option. Yemen and Libya are also important issues to be solved under the Arab umbrella. They also need a new way of thinking and repositioning of major Arab countries. Egypt, as the most active Arab country could pave the way for better Arab cooperation, but the Saudi position is still the major indicator of how efficient this Arab effort to solve the crises will be. Arab countries must understand that the longer the crises endure the worse it is for them. With Saudi concerns about Iranian influence in the region, it is important to review past policies and understand how they may have given Iran more space to influence, especially in the places where crises appears, Lebanon, Iraq, Syria and now Yemen. The sectarian trends cannot be countered by more sectarian polices, Arab Shia in Lebanon, Iraq, Bahrain and Yemen are originally Arabs, but the policies adopted by some Arab countries have pushed many of them closer to Iran and away from Arab leaders. These are important issue to bear in mind when we think of the need to learn from the past and avoid its mistakes. It is important that Arab countries develop new policies that work to unify people rather than dividing them. For Jordan this summit is critical, as it provides the opportunity to restore the political importance of Jordan as a country involved in these crises and building a new phase of Arab understanding will have positive impacts on Jordan. If this attempt fails then Jordan may find itself alone in facing three major issues, the growing economic crisis, the new phase of combatting terrorism and the risks of a failed peace process. On top of this Jordan could face the end of unity on a two state solution, and the inherent complexities of a one state solution, recognizing Israel as a Jewish state. Arab states need to encounter that Israel’s current narrative which is based on a wider regional peace and rather than focusing on the pending peace process with Palestinians. The Trump Administration’s positions on the Middle East must also be addressed in the Arab Summit. This includes the future of the peace process and the potential of strong positions from the US in the region if we cannot find a path for ourselves. Developing a new and effective Arab strategy for de-radicalization and fighting terrorism is one of the key issues that might help in restoring the Arab cooperation process. There is not much to be optimistic about in the crises facing the Arab world, but we must find an Arab pathway from the grassroots through a new phase of Arab relations, which starts with credible and smart initiatives. من الصعب لاي شخص اليوم الحديث عن الواقع العربي من باب التفاؤل. فالازمات تتسع و حجم الخلاف العربي العربي اليوم يصل لدرجة تجعل الحديث عن رأب الصدع العربي امراً شبه مستحيل. بالرغم من حجم الاختلاف العربي و اتساع رقعة الازمات و الخلافات الا ان محاولة انجاح القمة العربية القادمة في عمان يجب ان تكون على رأس اجندة كثير من الدول. فبالرغم من اعتقاد الاغلبية بان هذه القمة كغيرها من القمم لن تخرج عن اطار البروتكول و قد تنتهي بالتوصيات التي لايأخذ بها، الا ان مناخات المنطقة تشير ان هذه القمة تحمل تحديات كبيرة و ان فشلها قد يشكل لواقع اخطر لاحقاً. فكثير من القمم العربية التي فشلت فتحت ابواب الجحيم في المنطقة، مثل قمة فاس التي عرضت فيها مبادرة السلام العربية السعودية، لقمة عمان ١٩٨٧ و ما تبعها من اندلاع للانتفاضة في الضفة الغربية، لموتمر بغداد ١٩٩٠ و غزو الكويت لاحقاَ و حتى مؤتمر بيروت ٢٠٠٢ و تجديد مبادرة السلام العربية و انهاء ياسر عرفات سياسياً الخ. قمة عمان تأتي في وقت يفرض التغيير في السياسة العالمية واقعاً جديداً، يمكن الاصطلاح على تسميته بمرحلة التسويات الكبرى و اعادة صياغة المنظومة الشرق اوسطية. ضمن هذه التحولات يجب على الدول العربية التفكير جدياً في اعادة ترتيب البيت العربي و بناء قواعد تشاركية جديدة، ليس من باب الترف بل من باب درء الخطر القادم الذي بات يتهدد الجميع دون استثناء. لهذا فانه من الضروري البدء بصياغة استراتيجية مشتركة لمكافحة الارهاب و العمل على احياء دور الدول العربية في ظل تحول لافت في شكل المشهد الشرق اوسطي الذي باتت تتقاسمه قوة اقليمية و دولية جديدة. ترتيب البيت العربي يبدأ عبر صيغة تفاهمية جديدة تعيد صياغة شكل الدور المصري و السعودي في ادارة الملفات العربية. اعادة قراءة الماضي تشير الى ان الدول العربية يجب ان تدرك ان الاولولية اليوم هي لانهاء الازمات المشتعلة و التي ادت في النهاية الى خلق مسارح تنافسية افسحت المجال للقوى المختلفة بالظهور و تجذير نفوذها في المنطقة. فعلى سبيل المثال، منذ ازمة لبنان والعراق و سوريا و اليمن تحتج بعض الدول العربية على النفوذ الايراني الجديد لكنها تقدم عبر سياساتها الفرصة لايران لتجذير نفوذها و تغيير واقع المنطقة، لا بل ان بعض السياسات العربية قد ادت في النهاية الى الدفع باطراف كثيرة من مكونات المجتمعات العربية باتجاه البحث عن دعم و تأييد خارج الولاءات العربية سواء في ايران او تركيا. الحقيقة انه لايمكن لهذه القمة ان تنجح دون ان تطال مسائل رئيسية، اهمها مسألة عودة سوريا الى الجامعة العربية و انهاء معضلة خروج سوريا من الحضن العربي، كذلك مسألة اليمن و حالة الاستنزاف التي باتت تشكلها المسألة اليمنية، و لايمكن كذلك الا القمة مع مسألة السلام بجدية خصوصاً بعد التحول اللافت في طبيعة تعاطي الادارة الامريكية مع الملف و التفرد الكامل لنتينياهو في صياغة المشهد السياسي مدعوماً وفقاً لحديث نيتنياهو برغبته بانجاز سلام اقليمي مع دول عربية الامر الذي يجعل من ملف السلام مع الفلسطينيين ملفاً هامشياً. بالاضافة الى مسألة المباركة الامريكية او في احسن الاحوال عدم الاكتراث الامريكي لسقوط خيار حل الدولتين، لهذا من الطبيعي ان يسأل الجميع عن كيف شكل حل الدولة الواحدة و حدودها الجغرافية خصوصاً ان تعزيز فكرة حل الدولة الواحدة يتزامن مع الاعتراف باسرائيل كدولة يهودية مما يعني ان اسرائيل بعيدة كل البعد عن حل الدولة الواحدة. التحديات الكبيرة اليوم تحتم على الجميع التعامل مع ملفات المنطقة بمسؤولية كبيرة و الادارك ان ضياع هذه الفرصة قد يكون العامل المؤسس لاتساع رقعة الازمات و دخول دول جديدة الى نادي الاضطرابات.